First, Bud Phillis and I want to again thank each of you for allowing us to make our Water Project presentation to your Rotary Club and to the District 6420 Conference. The hospitality, fellowship, and reception has been more than gracious and welcoming. Since making our presentation, (12 times so far with more scheduled in the near future), we have received many generous donations allowing us to meet and exceed our first year goal by almost two times! 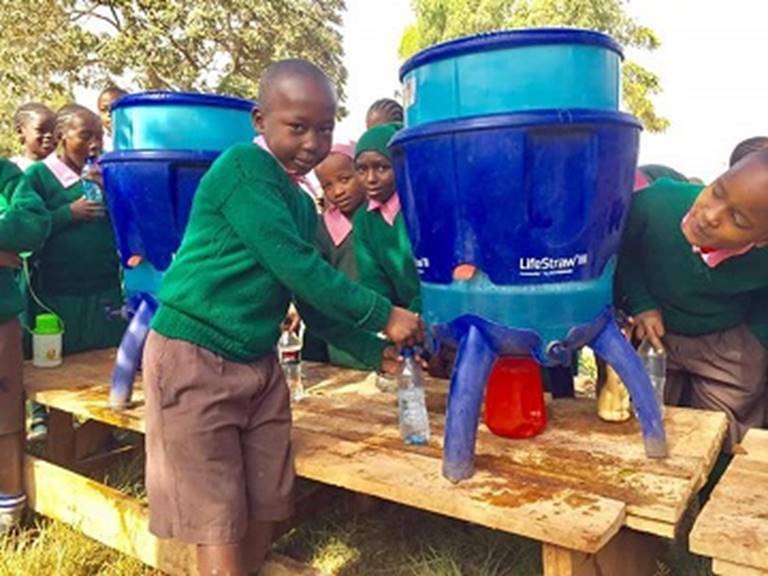 We’ve been able to purchase 95 water filter units to date (unfortunately the price increased from $275 to $300 about mid-way through the year), which are either already in place in Kenya or are in transit and will be in place and in use by the end of next month. Replenish, our source and distribution arm for the filters has done a super job getting the filters delivered, completing training of the children and adults on site, and getting back to us with photos and reports. As we spoke with various groups, some questions came up that we thought were great ideas. At one club we were asked if it would be possible to put some sort of identification on the filters recognizing that Rotarians were the donors providing the units. At that time, the Rotary emblem was printed on the box the filter arrived in, but there was nothing on the filter itself. 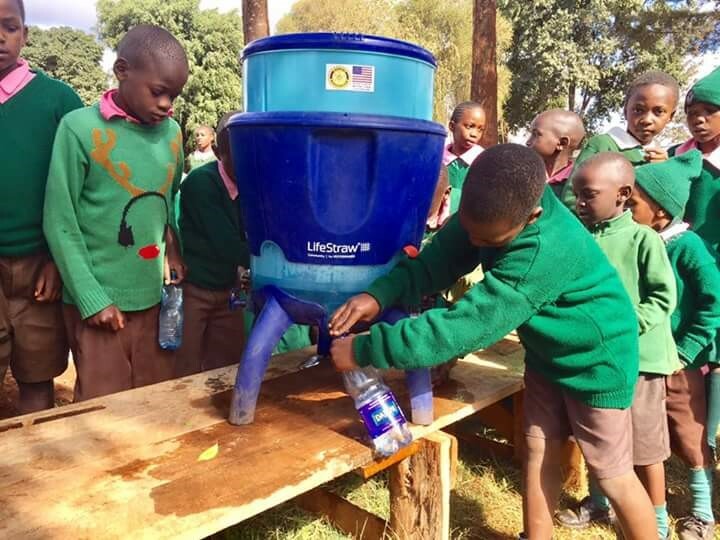 At another club we were asked if there was some way to let the children know that the water filters came from the United States, since we often hear that other areas of the world do not necessarily have a good impression of the US. We thought both ideas were worth pursuing and I am pleased to tell you that the label shown below was developed into an adhesive sticker is now proudly displayed on every one of the units we have funded. A large Rotary emblem still is printed on the box as well. I’ve attached a written report of all the various donations received to date. If by chance you don’t see a donation that you believe was made, please reply back to me so we can trace it down. Our treasure is doing a great job of reporting Water Project donations to us, but now and them something may get confused. This is an ongoing effort, and we anticipate continuing year after year as long as we can. Obviously, the need is huge and Replenish has now established contacts and facilities in 14 nations, from Africa to South and Central America. 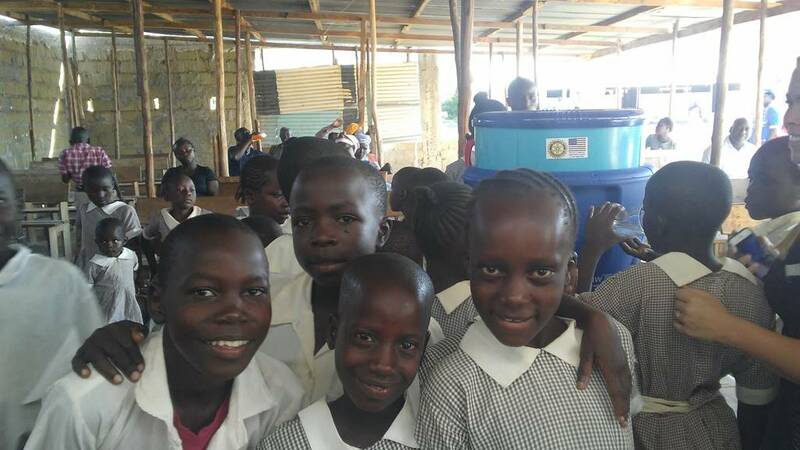 Here as some photos we have received from Replenish showing filters we have collectively provided to children in Kenya. The flag labels can be clearly seen in several of the photos.